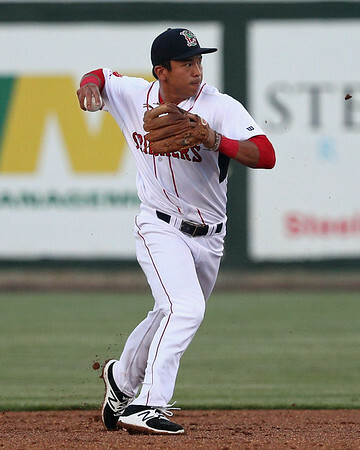 Little went right at Hadlock as Portland dropped the first game of its homestand. The Sea Dogs picked up only two hits, singles by Jeremy Rivera and Jhon Nunez. Dedgar Jimenez picked up the loss, giving up four runs on seven hits in six innings. 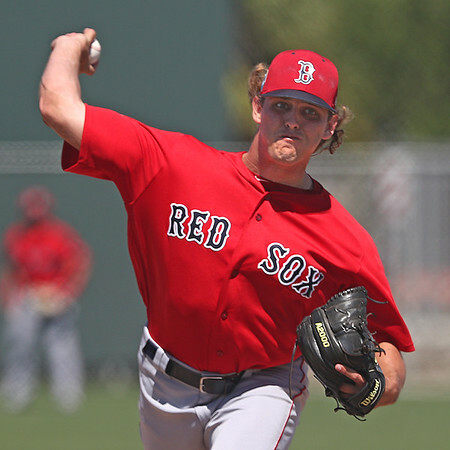 Kevin McAvoy had a tough transition in his first appearance out of the bullpen, facing four batters and giving up a double and three walks without recording an out. It was a tough walk-off loss for the Red Sox, as Daniel Gonzalez lost his first decision following six consecutive wins. Gonzalez's own defense keyed the decisive run, as an errant pickoff attempt placed the winning run in scoring position, later coming in to score on a base hit. Starter Darwinzon Hernandez struck out seven in five innings, but struggled with his control and efficiency, walking four and needing 102 pitches. At the plate, Bobby Dalbec hit his 12th homer of the season and third in five games, a two-run blast in the fifth. Brett Netzer was on base three times, notching a double and pair of walks. Santiago Espinal continues to be a consistent performer for Salem, picking up a single and walk to extend his hitting streak to five games. Kutter Crawford continues to be dominant and receive a near-comic lack of support from his teammates. The right-hander sliced his ERA to 1.99, scattering three hits across six scoreless innings, walking three and striking out five. Despite the fact he has pitched at least five innings and allowed two or fewer runs in eight of his 11 starts, Crawford remains winless on the season. Tanner Nishioka (pictured, left) picked up three of Greenville's five hits in the opener, including a pair of doubles. Enmanual De Jesus got more support than his fellow hurler, getting credit for the win in his quality start. De Jesus allowed two runs on five hits in six innings of work, striking out four and walking one. Nishioka again played a key role, scoring a pair of runs while going 1 for 2 with a walk. Recent independent league signee Ryan Fitzgerald was a hit in his affiliated ball debut, going 2 for 2 with a run scored and a stolen base. Michael Osinki added three hits. A quartet of hurlers combined on the five-hit shutout for the Sox. Starter Emerson Ortiz scattered three hits across five innings, striking out one. Angel Sosa, Jose Larez, and Osvaldo De La Rosa combined for the last four innings, with Larez getting the win. Erick Flores delivered the lone extra-base hit, an RBI triple that broke a scoreless tie in the eighth inning. It was a tough morning for the Red Sox 2 squad. Antoni Flores, who received a $1.4 million bonus last July, reached base twice for the second consecutive game, going 1 for 3 with a walk. Oscar Rangel had the only multi-hit contest, going 2 for 4 with a double. Starter Bryan Lucas struggled, giving up five runs on six hits in 2 2/3. Johan Martinez did yeoman's work out of the bullpen to keep the contest close, giving up just an unearned run on four hits in 6 1/3 innings, striking out seven. Player of the Day: Both Greenville starters could merit mention here, but the play of Tanner Nishioka across both ends of the doubleheader earns him today's honors. Nishioka was 4 for 5 with a walk, two doubles, and two runs scored, helping Greenville salvage a split against Augusta. The 2017 ninth-round pick has been on fire, going 12 for 21 with four doubles and a triple during a six-game hitting streak.